Late March and April are my favourite months for skiing because of the combination of strong sunshine and good spring snow. This year it should be even better than ever because of the huge amount of snow that has fallen in most resorts. 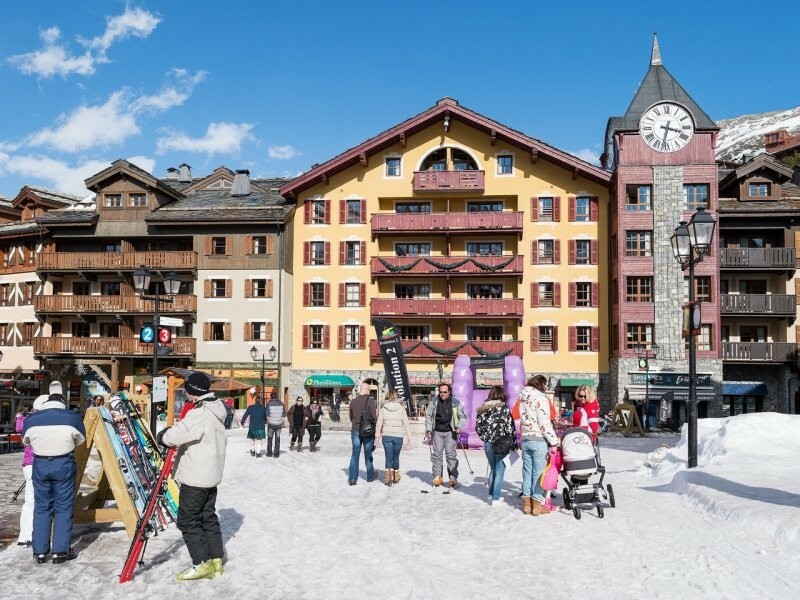 There’s still time to book for Easter skiing (30 March to 1 April) and after the Easter holidays you’ll be able to pick up holidays at bargain basement prices. 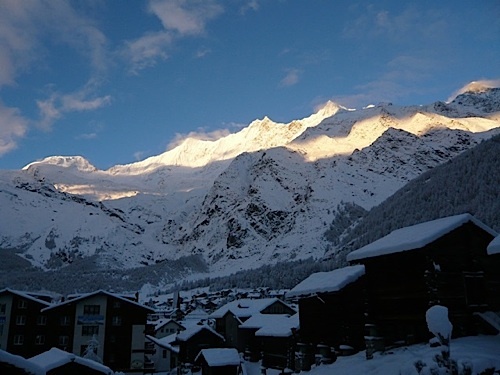 So which resorts should you head for in the Alps? Here are some of the best. 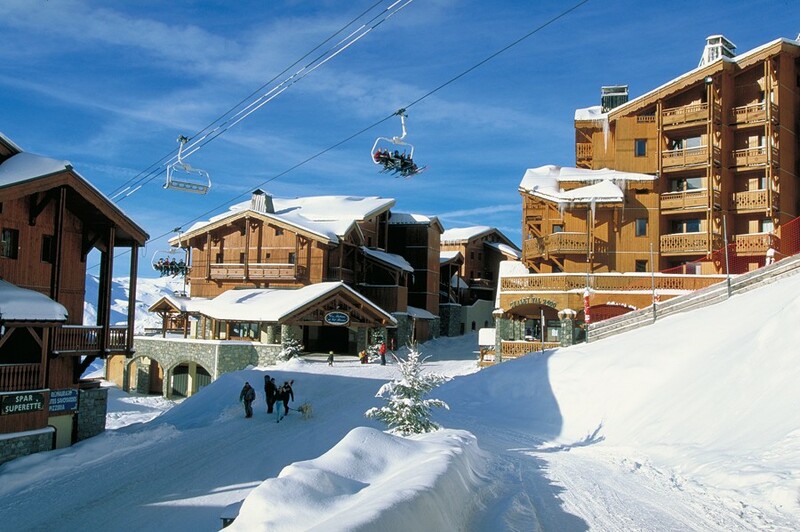 These two resorts have been linked by the double-decker Vanoise Express cable car since 2004. 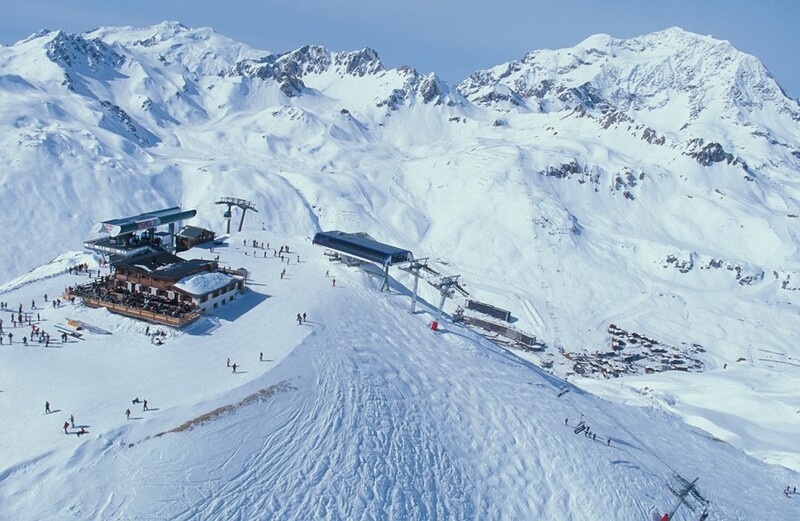 Both Les Arcs and La Plagne have vast amounts of skiing and together they are one of the biggest ski areas in the world, with 425km of pistes. Both have slopes which go to over 3200m and most of the skiing is above 2000m. So the snow keeps in good condition for a long season which this year will go on until 28 April. The terrain is very varied and suits skiers of all abilities. Intermediates have miles of groomed pistes to explore and there is some excellent off-piste for experts. 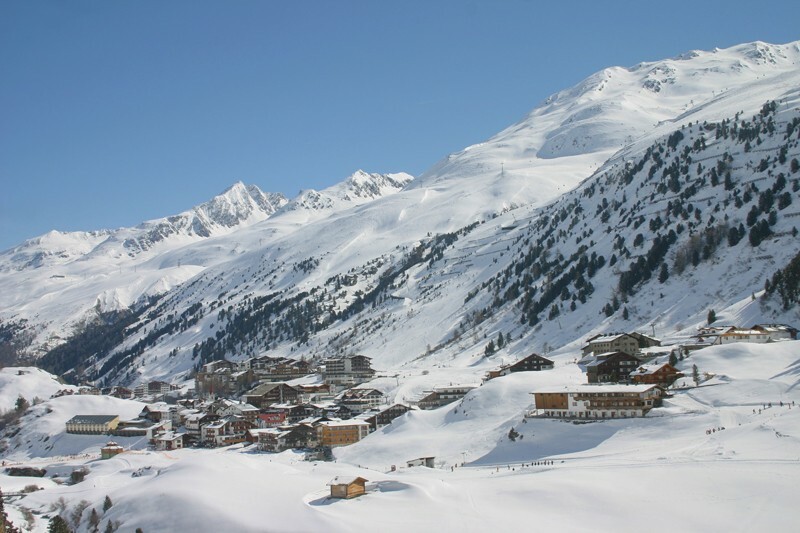 Both resorts have several alternative ‘villages’ to stay in – most purpose-built and ski-in, ski-out, but some based on more traditional villages. I’m heading out for a few days based in Arc 1950 (pictured above) in late March. This was purpose-built right on the slopes in very attractive chalet-style using local wood and stone by the Canadian company Intrawest in the first few years of the 21st century and has lots of its own facilities including ski school, shops, restaurants, bars and a splendid spa. Watch out for my blog from there. And they have a special offer from 31 March to 13 April of a free lift pass for a child aged 5 to 12 if two adults buy 6 or 7 day passes. The ski area is high for the Tirol, with all the slopes except the runs back to the resort between 1800m and 2870m and most runs in the local Ischgl sector facing north-west, so snow stays in good condition. There’s lots of snowmaking too. Après-ski is very lively, starting on the mountain and moving on to numerous bars and clubs in town. The resort is famous for its opening (in November) and closing parties which are held outdoors and feature big name artists – this year German superstar Helene Fisher is the star attraction at the top of the mountain on 30 April. The slopes are linked to those of the duty-free village of Samnaun in Switzerland and most are wide, well-groomed and ideal for intermediate cruising. And the lift system is very modern, with 80 per cent of the main lifts being gondolas or high-speed chairs and will be open this year until 1 May. Read my late-season blog from 2014 here. 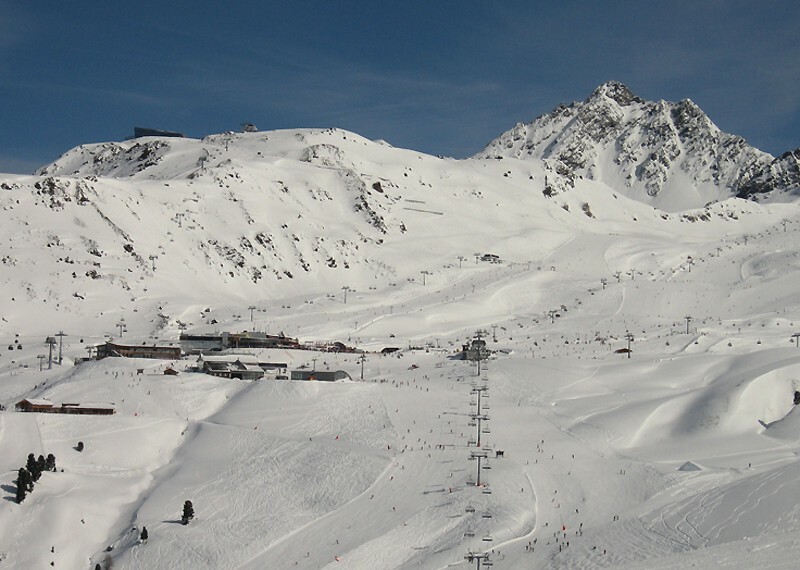 Obergurgl is one of Austria’s highest and most snowsure non-glacial resorts and will be open until 22 April. The village is at 1930m, the slopes reach over 3000m and the resort claims snowmaking covers 99% of the pistes. 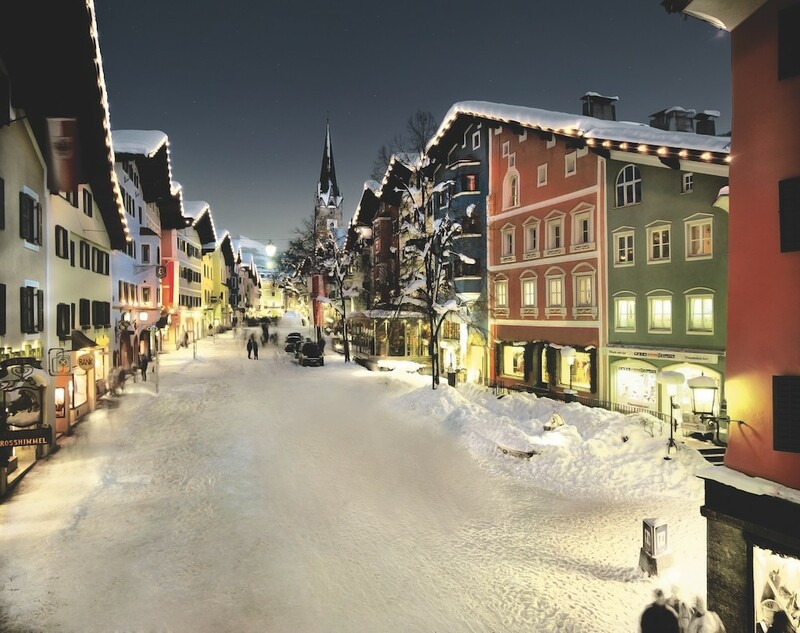 So good snow cover is assured; that and comfortable 4-star hotels, together with some jolly après-ski, ensure repeat custom from a loyal band of visitors who book a year in advance to avoid disappointment. The pistes are mainly gentle, making it a good choice for leisurely intermediates and beginners. I skied there before Christmas last season and, though natural snow was lacking, the pistes were in great condition because of the snowmaking. Cervinia is one of the best resorts in the world for gentle cruising in spring sunshine on mile after mile of easy, snowsure, well-groomed pistes. 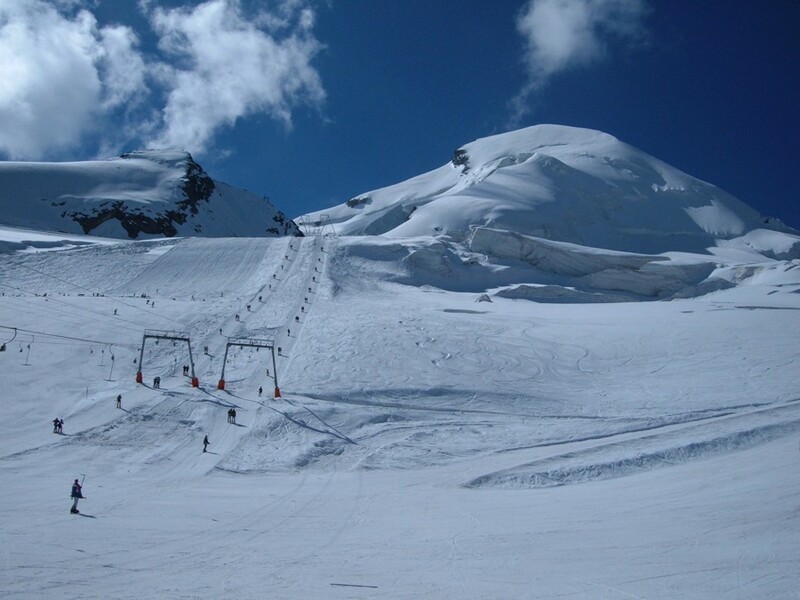 It is due to be open until 6 May and there’ll be summer skiing on the glacier too. The slopes are among the highest in Europe (reaching almost 3500m) and snowmaking goes pretty much top to bottom on the main slopes. 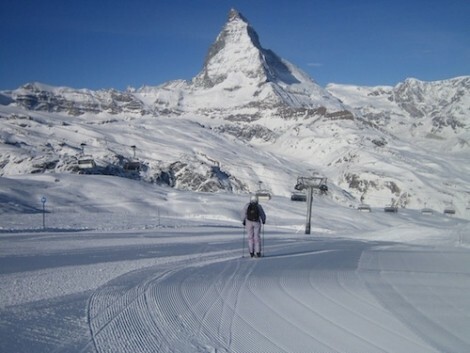 It is linked by lift and piste directly to the highest (and easiest) of Zermatt’s slopes just over the Swiss border. But you pay good value Italian euro rather than Swiss franc prices; eating and drinking is almost half the price on the Italian side. Accommodation is cheaper too. Livigno’s pistes are mainly easy, above-the-treeline cruises which suit intermediates well. And the vast array of nursery slopes means it is good for beginners too. The snow is usually good due to the altitude (most of the skiing is above 2000m and a lot is above 2500m) and the extent of the snowmaking – giving a long season lasting until 1 May. Prices are relatively low by ski resort standards and it is a duty free area – so booze and cigarettes are especially cheap. We once worked out the average altitude you spend your time skiing at in all the major resorts of the Alps. Saas-Fee came out on top by a mile – at 1800m the village is not exceptionally high, but most of its slopes are between 2500m and 3500m. What’s more, they are almost entirely north-facing, and a good proportion are on glaciers. There is summer skiing here but surprisingly, the winter operation closes on 15 April this year. March and April are the best winter months to visit here because the village gets little sun in early season. 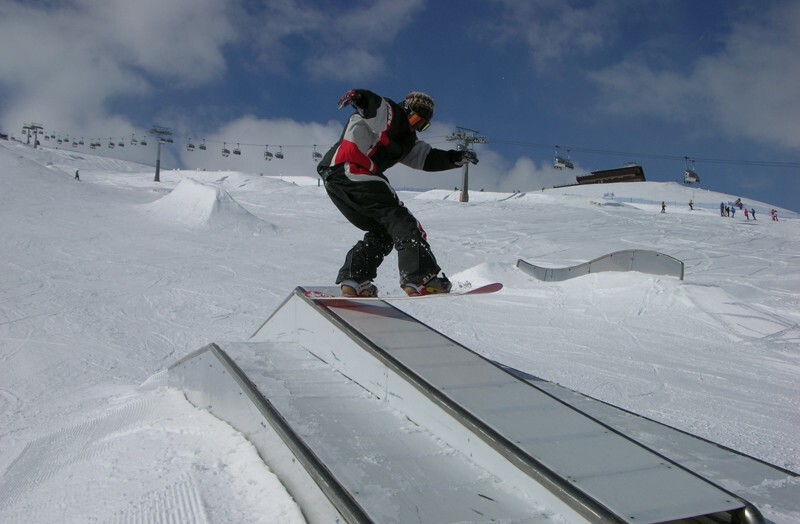 The slopes are gentle and ideal for beginners, early intermediates and those not looking for much of a challenge. There are some very comfortable hotels and après-ski is lively. The mountains here are rocky and have a relatively dry climate. But high altitude and snowmaking more than make up for that; the resort boasts the highest piste in Europe (3820m), most of the runs are above 2500m and there’s lots of snowmaking from above 3000m down to resort level. Intermediates and experts will enjoy the terrain most. 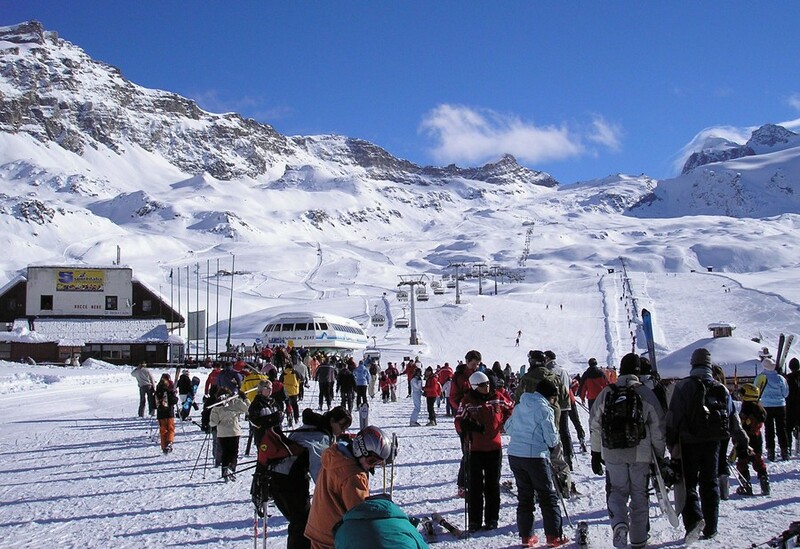 The resort is linked to Cervinia in Italy, where the slopes are just as snowsure and offer mainly gentle cruising. Zermatt’s mountain restaurants are simply the best in the world (but pricey). The scenery is spectacular too, with the famous Matterhorn in view from pretty much everywhere on the mountainside. And the town is car-free and reachable for visitors only by cog railway (cars have to be left down the valley at Täsch). I’ve been there many times in late March and the snow has been great. This year the Zermatt Unplugged music festival will run from 10 to 14 April and the resort boasts skiing 365 days a year on its glacier. Looking for a last-minute ski deal? Check out our bargains section for lots of March and April offers.